We saw the fire element in Hotel Healdsburg and hired the same metalworks studio to build us one. The Owner liked the look and the easy maintenance. SF allows very few wood burning fireplaces and all are large box enclosures. This project is not in SF, but in Sebastopol. I don't have any tips for SF permitting. 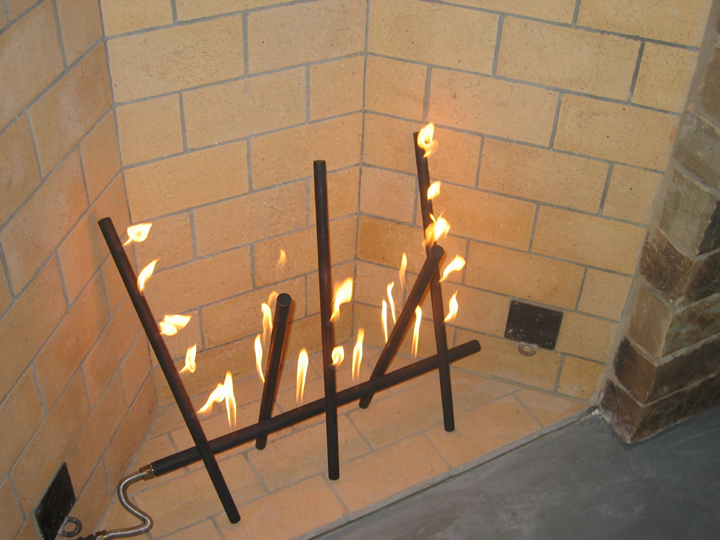 All our SF residential projects use gas fireplaces now. It's unfortunate but SF is sticking with their stringent regulations. Thanks for info on the glass doors. I have forwarded a request to our contractor - Wright Contracting. 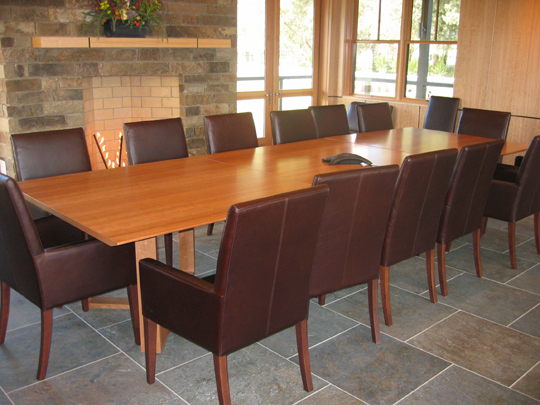 This project is referred to as Lynmar Winery. Thanks again.